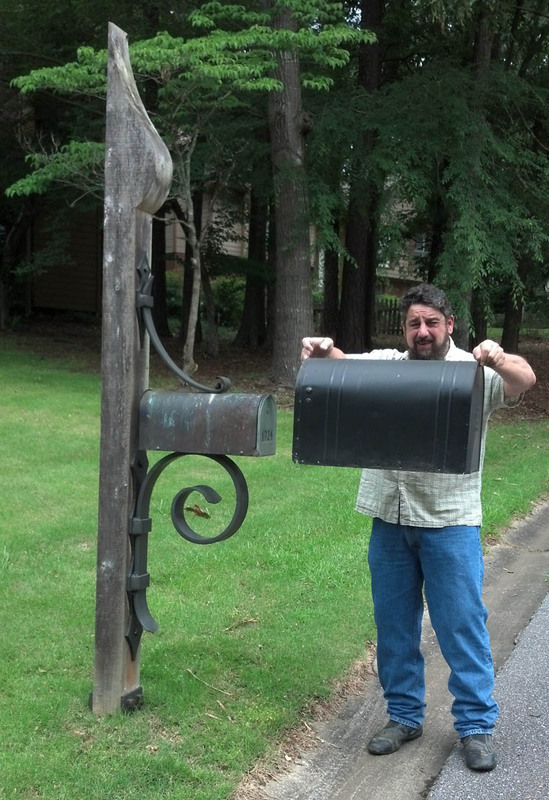 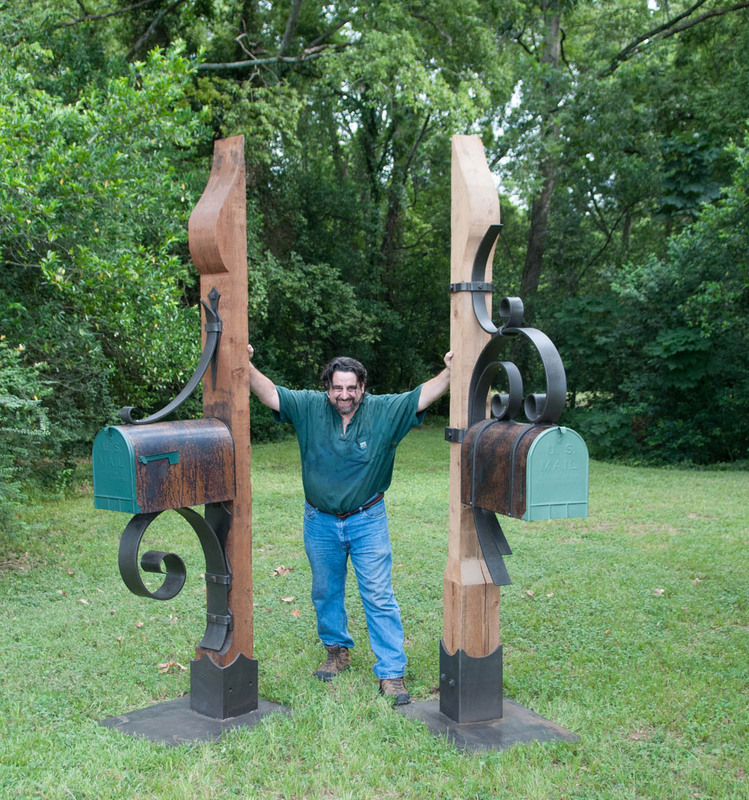 The Kingwood Large Mailbox evolved from the popularity of the Kingwood Mailbox for clients in a rural or estate setting. 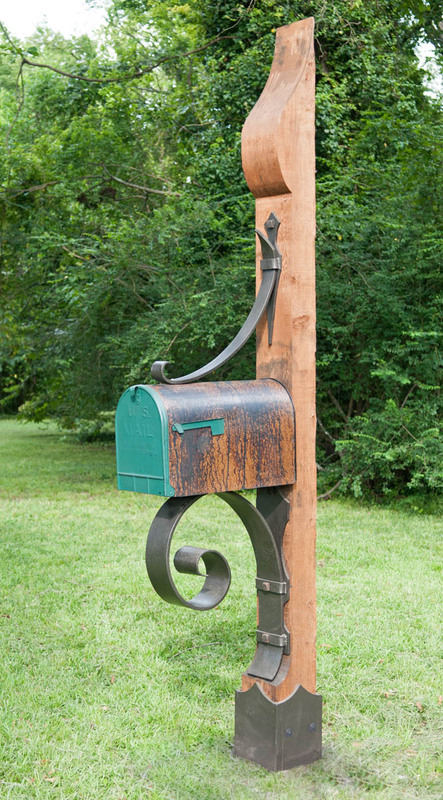 Its large, copper clad mailbox is supported by a heftier 9 foot sculpted cedar beam and the large iron scrolls are banded to decorative back plates. 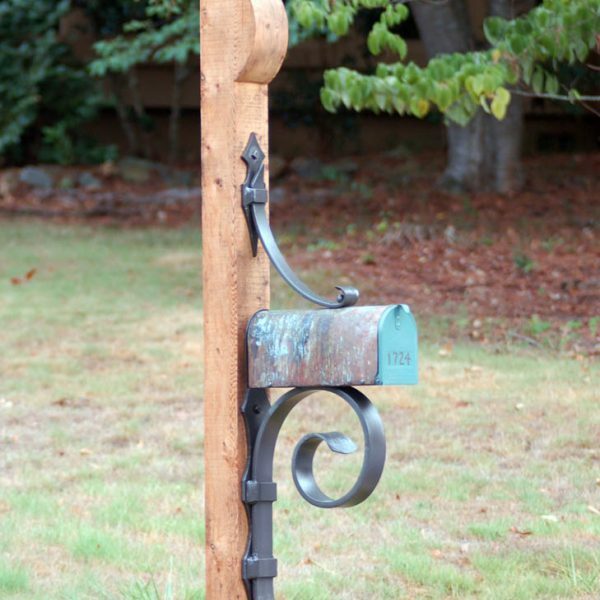 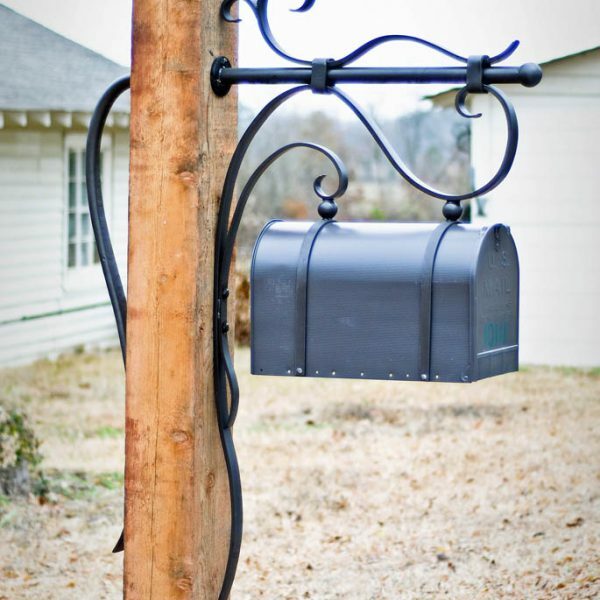 The Kingwood Large Mailbox is available as the complete assembly or, for those who want to use their own wood, the ironwork with the mailbox is available.